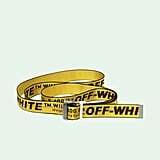 Of the hundreds of Safari tabs left open on my phone, I've searched "How to wear Off-White belt" 20-something times. 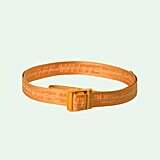 And now that I actually have one of the highly coveted belts, I'm still screaming from my closet, "Siri, how the hell do I wear this thing?!" 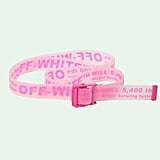 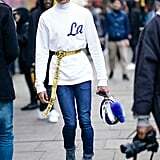 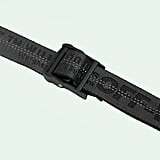 The 200-cm.-long Off-White Industrial Belt is about 100 cm. 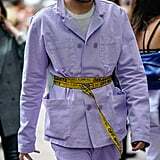 too long for my uncoordinated hands to maneuver around my waist . 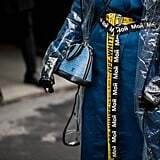 . . at least not with the effortless style of Beyoncé, Bella Hadid, or one of Virgil Abloh's other famous friends. 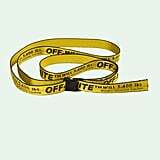 Not to mention, mine is caution-tape yellow. 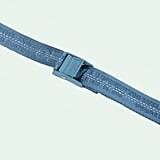 But it's time I clear my search history and never look back. 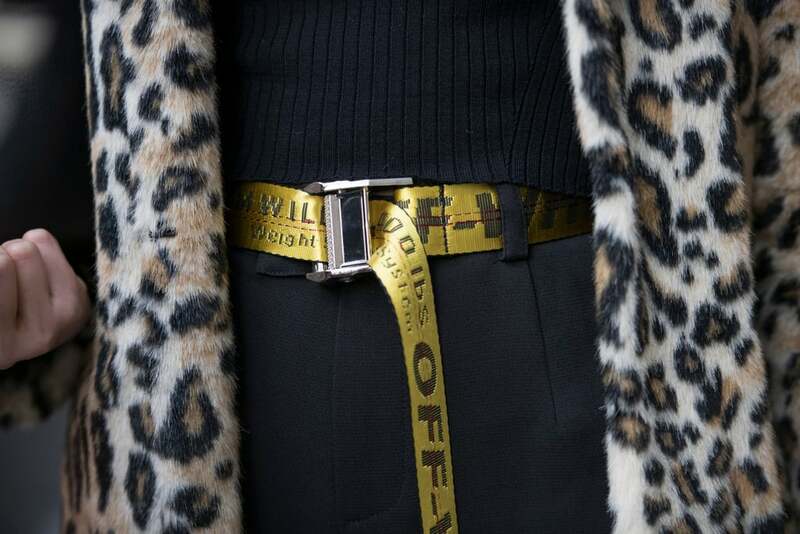 We've rounded up every way you can possibly style the Off-White belt, from around the waist to around your neck, from blogger street style to celebrity Instagrams. 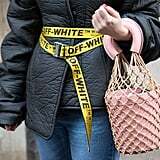 The Off-White Industrial Belt ($190-$390) is available online in 45 different colors and styles, including mini and rubber, so shop it once you've got enough inspiration under your belt — pun totally intended.